Those of us who live close to the land are graced with many blessings. 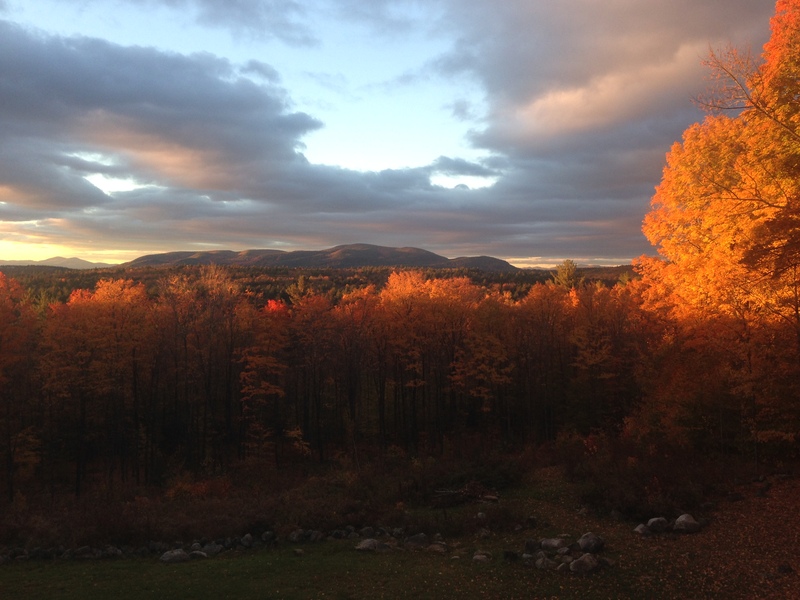 Moments like the one captured in the photo below are an example – an October sunrise from the ridge where we live. Many gifts of the earth are essential to our survival – the air we breathe, the water we drink, the food we consume. The aesthetic beauty of the earth expands our hearts; the sense of place grounds our spirits. 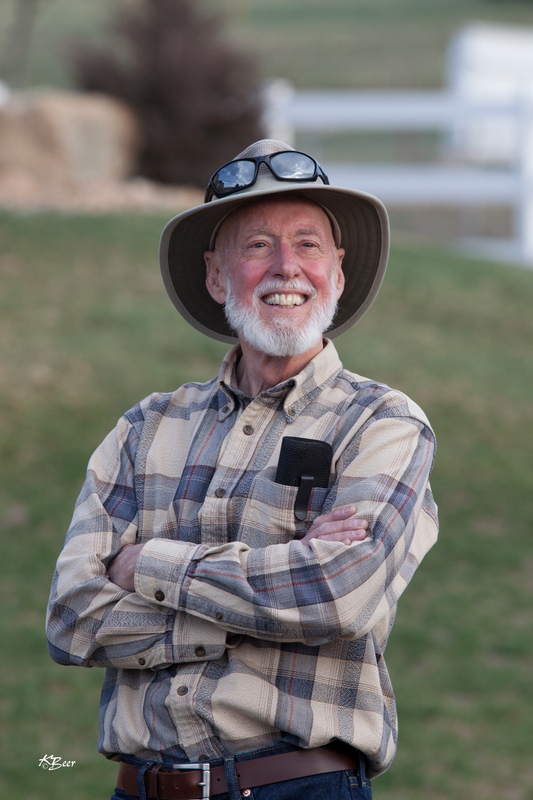 A poem by David Wagoner from the anthology Life Prayers offers another grace note of bounty from the earth. Have you ever been turned around in the woods, maybe even lost for a moment? Ever been turned around a bit in your life, having lost your direction? Perhaps you are facing such a time today. Stand still. The trees ahead and the bushes beside you are not lost. Where ever you are is called HERE. And you must treat it as a powerful stranger. Must ask permission to know it and be known. The forest breathes. Listen. It answers, I have made this place around you. If you leave it, you may come back again, saying, HERE. No two trees are the same to Raven. No two branches are the same to wren. If what tree or bush does is lost on you, you are surely lost. Stand still. The forest knows where you are. You must let it find you. Peering from the upstairs window as daylight began to chase the night, I noticed a large deer under the apple tree. It moved slowly, an elegant shadow that ambled unrushed down the hill past the burn pile and out of sight. Later, as the first rays of the sun brushed the tips of the trees, highlighting their fall colors, Thoreau’s familiar passage from Walden came to mind. To affect the quality of the day, that is the highest of arts. Every (one) is tasked to make (their) life, even in its details, worthy of the contemplation of (their) most elevated and critical hour. Whatever today brings for each of us, whether, like so many in the news we are facing the enormity of loss of home, health or loved ones, or we are just staring at the monotony of routine, we have choices to make. Those choices come from our thoughts, which are the source of our attitude and effort, the brushes with which we paint the quality of the day. So watch the thought and its ways with care and let it spring from love born out of concern for all beings. What is one thought that will help you affect the quality of your day? 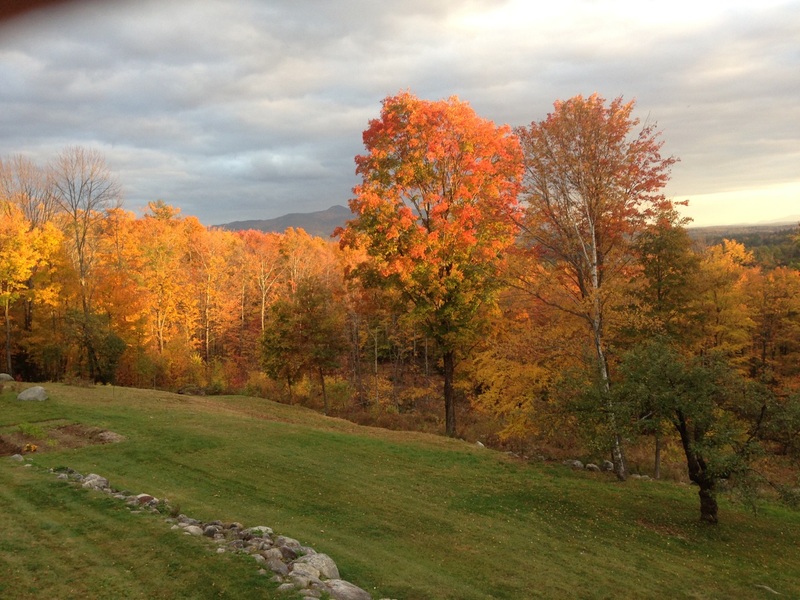 Autumn returns to our New Hampshire hillside. The light of day grows shorter. Fading from its rare eclipse, the harvest moon wanes. The garden yields its last bounty. The leaves change color and begin to fall, reprising how much the trees contribute to our landscape and our lives. Throughout the seasons the oxygen they produce fills our lungs with life. Their branches shelter families of birds. A pliant buttress, they buffer us from the strong winds and soothe us with strains of reassurance when the breezes are light. They provide the beams that support our home, firewood that warms our hearths, and grains that inspire and challenge a budding craftsman at the lathe. In the signature poem of his collection, A Timbered Choir: The Sabbath Poems 1979-1997, Wendell Berry honors these pillars of what to many of us is our spiritual temple. They represent and embrace all of life’s gifts for which the only response can be a grateful heart. Slowly, slowly, they return to the small woodland let alone: great trees, outspreading and upright, apostles of the living light. Patient as stars, they build in air tier after tier a timbered choir, stout beams upholding weightless grace of song, a blessing on this place. They stand in waiting all around, uprisings of their native ground, downcomings of the distant light; they are the advent they await. Receiving sun and giving shade, their life’s a benefaction made, and is a benediction said over the living and the dead. In fall their brightened leaves, released, fly down the wind, and we are pleased to walk on radiance, amazed. O light come down to earth, be praised!